Starting point: At the end of Passeig de la Foig street, you must take a path that goes up at the background, some 100 m. Further, you will find the path which, always along the canyon, will take you to the bottom of Salt de la Foig. Via: You go up the first 40 m slope and, without leaving the canyon, you will find a total of 4 more slopes, 12, 18, 15 and 15m high. 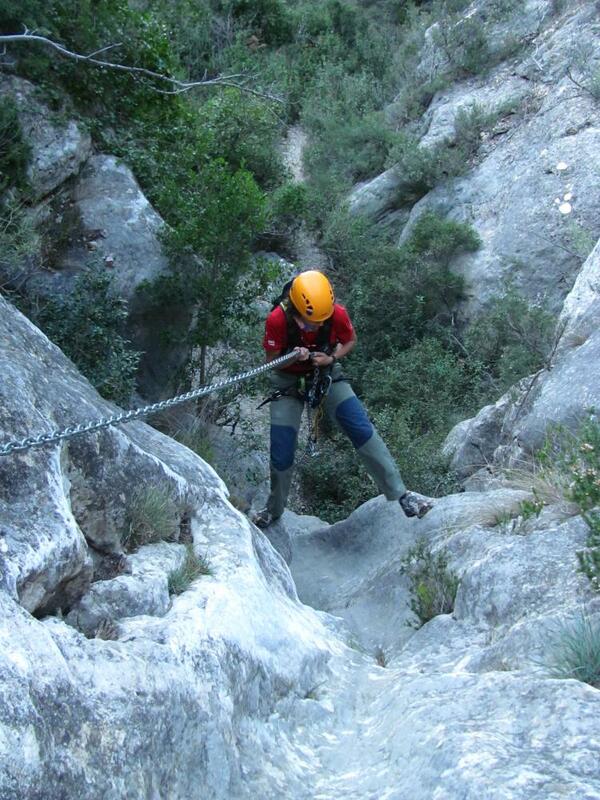 Descent: you can do it, either using the same route, or the delimited path of Volta de la Llena . If you go down la Llena (1.9 km), you have to take the path which you will find on the top, near the end, on your right and follow the sign posts.